Ohio State players and fans celebrate in the 2017 Big Ten Championship Game. Playing on such a stage can allow teams to boost their national profiles. When coach Pat Fitzgerald met Jared McGee on a recruiting visit in Fall 2013, he wasn’t exactly a celebrity at the now-senior safety’s suburban Dallas high school. Just five years later, the Wildcats’ name recognition has increased tremendously, in no small part because of two 10-win seasons during McGee’s tenure in Evanston. But Saturday’s Big Ten Championship in Indianapolis may well be the program’s biggest game since Fitzgerald himself was a player. It’s hard to imagine a football player anywhere not knowing NU’s conference affiliation after this contest, and that will have implications well beyond the field in Lucas Oil Stadium itself. Connor Foster, a three-star offensive lineman from Ohio, committed to NU in April before the Cats even began their dream 2018 campaign — though he insists he “already knew they were going to have a good season.” But now that his future team is playing his hometown Ohio State team for the Big Ten title, he’s expecting his recruiting class to grow sizably. “I feel like some other recruits will see their success and want to hop on board and try to make it even better next year,” Foster said. 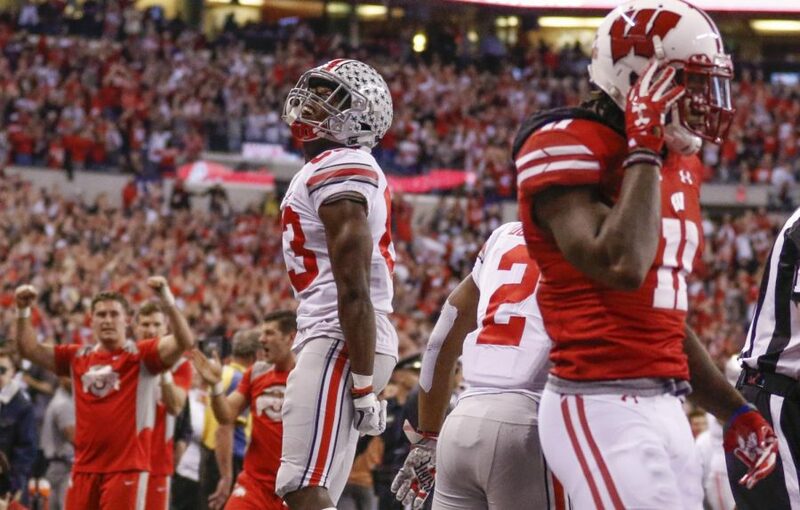 Last year’s equivalent contest between Ohio State and Wisconsin, held annually in primetime, attracted 12.9 million viewers on Fox. The 2016 championship matching Wisconsin against Penn State averaged 9.2 million viewers. Even if this year’s game doesn’t prove to be quite as nationally anticipated, it should still expose an unprecedentedly large audience to the NU brand. The Cats’ most-watched game this season, a September battle against Michigan, averaged only 3.6 million viewers. Even the 2013 regular season game against Ohio State, which was hyped up by a College GameDay appearance and aired in primetime on ABC, drew a substantially smaller audience of 7.4 million. Of course, very few of the multi-million expected viewers will except NU to actually win, as Fitzgerald noted snarkily on Monday, but they will be watching nonetheless. Unsurprisingly, when other non-traditional contenders play in power-conference championship games, the combination of a very successful season — the prerequisite for playing in such a setting — and the added exposure generated by doing so typically improves recruiting. After Colorado played in the 2016 Pac-12 Championship, its national recruiting rank (per 247Sports) leapt from 69th to 35th. Similar things happened after South Carolina’s 2010 SEC Championship berth (resulting in a year-over-year recruiting rank jump from 34th to 17th), Arizona State’s 2013 Pac-12 Championship berth (39th to 23rd) and Iowa’s 2015 Big Ten Championship appearance (59th to 47th). More extraordinarily, playing in major postseason contests like Saturday’s game — and the Rose Bowl that could potentially follow — may also increase general undergraduate interest in the school. A 2013 Harvard study found that going from “mediocre to great” in football corresponds with a sizable 19 percent increase in total applications. That finding is directly applicable to NU, too: after the Cats went to the 1996 Rose Bowl, applications jumped 21 percent. Regardless of the exact statistical effects, however, the Big Ten West division title will almost certainly lead to positives beyond the win-loss column. Athletic director Jim Phillips told The Daily this week he expects the accomplishment to reflect well not just on the football program or athletic department, but NU as a whole.